As consumers become ad-savvy, marketers have looked for better ways to reach and meet the need of their target markets. Many organisations are turning to content marketing to generate qualified leads. Content Marketing Institute report, 88% of B2B organisations are using content marketing. If you’re in the minority and content marketing isn’t part of your marketing strategy. Or if it is but you’re not seeing the results you expected. I’m here to help. I’ve put together a quick overview of what content marketing is and a definitive checklist of how to use it to drive leads. Converting visitors into profitable customers is what separates content from content marketing. Now we understand what content marketing is, let’s jump into the must-have content marketing checklist. To achieve your content marketing objectives follow this checklist. Who is your target market? Before you write a single piece of content this should be clear. Identifying why and who you’re creating content for is critical to your success. Understanding why your customers needs you and who they are gives you the upper hand. A very effective way to get a holistic understanding of your customers is to create buyer personas. Research your clients by completing interviews and surveys. Use your website forms to capture relevant information. Look through your database to uncover trends. Talk to your sales team about common pain points. Keep in mind the goal is to create semi-fictional representations of your ideal customers. Goals they want to achieve. What information they look for when buying. The standard buyer’s journey involves three stages, awareness, consideration and decision. In each of these stages the buyer is looking for different content to meet their needs. There are hundreds of types of content you can use in your strategy. Seriously, check out this list of over 100 content types. But choosing the right content type for your objectives and audience is important. Firstly, do you operate in B2C or B2B marketing? Your answer makes a big difference to the type of content you will use. Successful B2B content take the form of blogs, eBooks, whitepapers and webinars to name a few. But for B2C, videos, competitions, visual compelling photos and memes tend to work a lot better. This is why building personas is super important! Understanding the content your audience wants before you create it can make a huge difference. Have you been posting content to your website or your social channel for a while? Review your content marketing efforts and the results. If you’re using Google Analytics (If you’re not, you should be!) see what content is driving the most traffic to your website. Also, note the source of this traffic. The hard work is behind us now. It’s to repurpose old content and come up with ideas for new content. What is repurposing content? Repurposing content is when you take an old piece of content and refresh it. You can do this by updating it or turn it into a different content type. For example, in your audit you identified a high performing blog post. Take this insight and repurpose that blog into a short video. How to come up with ideas for new content? Constantly coming up with ideas for new content can be challenging. But I will now share with you my favourite tools to generate new ideas. Buzzsumo: this tool lets you perform a search on a topic your interested in creating content about. It will then pull up a list of popular content. Buzzsumo uses social media shares to determine how popular content is. This information is powerful because you know that content has worked for someone else. Use this information to come up with new ideas. Portents Headline Generator: plug in a keyword, for example “content marketing” and this tool will spit out a catchy headline. I use Portents tool to get my creative spark going. I find I rarely use a headline that it generates. But it always leads to great ideas of my own. Google Trends: A free Google tool that lets you see how a topic or search term is trending over time. I often use Google trends to find the related terms and spark ideas from there. Google Search: Type your idea or topic into Google Search bar and up will pop suggested longer versions of your topic. In fact, that’s how I got the idea for this blog. I typed in “content marketing” and the suggested search was “best content marketing checklist”. The key to success with content marketing is to consistently deliver valuable content. Many businesses struggle with consistency and often this is due to lack of organisation. Is there a solution? Yes and it’s free! Trello is an awesome content planner tool that I personally use, and again the best part it is free! Trello’s boards, lists, and cards enable you to organize and prioritise your content marketing in an easy, flexible and visual way. 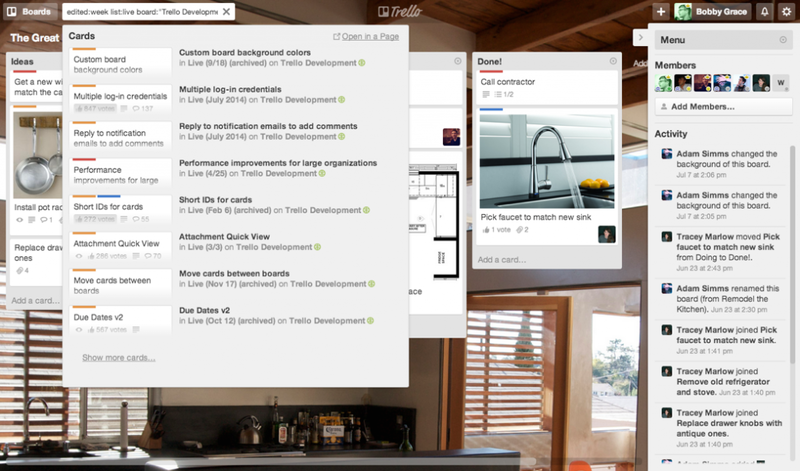 By using Trello, you’ll find your content marketing will become much easier. Everything is in one place easy to find and manage. Planning posts in advance give you the chance to be more creative, and take of special days by planning in advanced. If you have a team or plan to in the future Trello makes collaborating very simple. Great you spent the time and created a highly valuable piece of content. But no one has seen it. Once the content complete the work doesn’t stop – you need to promote it. There are many ways to promote content but I’m only going to cover four of my go-to’s. Social media is the ultimate content sharing channel. Twitter, Facebook and LinkedIn are all great ways to get your content out there. New channels like Instagram, Pinterest and Snapchat are also gaining traction if you have visual content. Pro tip: Pull several snippets from your content, such as great stats or quotes. Then over a few weeks share these snippets across different channels and link back to your content. While you can get your content out there organically on social. Paid social ads are an affordable way to reach a much larger audience. It’s also a great way to target a new audience and gain new followers. Pro tip: always run variations of the same ads trying different visuals and call to actions. This will allow you to get the best results possible for your spend. Display ads are powerful for promoting content. You are able to build brand awareness in audiences who are already browsing similar content. Pro tip: use a compelling visual and offer a valuable content. Ensure you have an opt-in option on your website for subscribing to your newsletter. Email is a great way to keep your audience coming back time after time. Send a weekly or monthly newsletter to people who’ve subscribe to your content. In the newsletter include the best performing content since your last newsletter. Pro tip: make sure to personalise your communications with subscribers with at least their first name. If content is your fire, gated content is your gasoline. Gated content is how you get your leads which is the goal of creating content. What is gated content? Gated content is online resources, such as eBooks, guides, research, articles, videos, anything you require a visitor to fill out a form before they can access it. You don’t want to gate every piece of content because visitors simple won’t always fill out a form. Make sure you give away plenty of great content for free – no form required. But gate your most valuable pieces of content behind a form. Try to keep the form as short as possible and only capture the essential information. Depending on your website’s objectives this information may differ. I tend to ask only for first name and email to allow for personalisation. And over time get more details. An awesome tool that let’s you create overlays and landing pages for gated content is Leadpages. This is a paid tool but is a very affordable option. Now don’t expect to see results overnight from content marketing. It’s a long-term approach, but create great content and you will be rewarded. Be creative with your content and follow the content marketing checklist.